View cart “Village Tree with Santa’s Sleigh Advent” has been added to your cart. Feline lovers will enjoy this Advent Calendar featuring two handsome cats peering out the window and more cat illustrations in each of the 24 surprise windows to open in December. This compact Advent Calendar measures 12″ x 12″. SKU: 201604. Categories: Advent Calendars, Babalu Products. 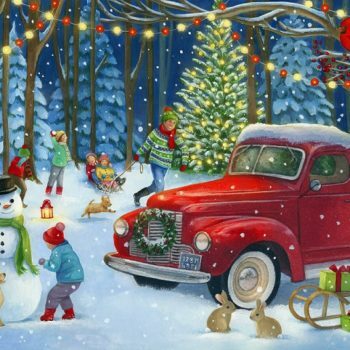 Red Pick Up Truck Advent Advent Calendars, Babalu Products, New Products. Invent your own scary monsters! Color a fearsome creature, then flip the sections to change it up into something new! Features 24 heads, bodies and legs to mix and match. 9.5″ x 8.25″. City Windows Advent Advent Calendars, Babalu Products, New Products. 3D Pop-up The Nativity Advent Calendar Advent Calendars. 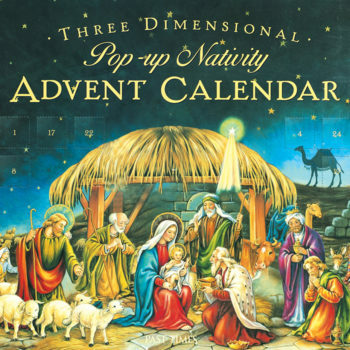 The story of the nativity lusciously illustrated on a 3D pop-up Advent Calendar. 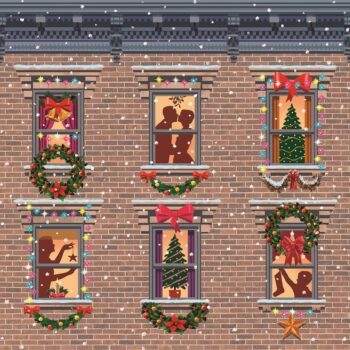 Surprise images in every window as you count the days till Christmas. 11.75 x 11″. 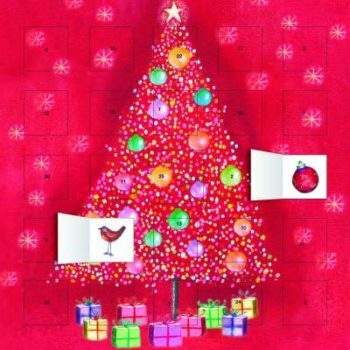 Bauble Tree Advent Advent Calendars, Babalu Products. Glitter enhances this colorfully decorated Christmas tree illustration. This compact Advent Calendar measures 12″ x 12″. Whistle Stop Christmas Advent Calendar Advent Calendars. 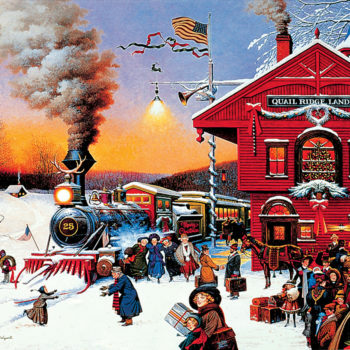 Harkening to a bygone era, families reunite at the train depot in this beautifully illustrated Advent Calendar. 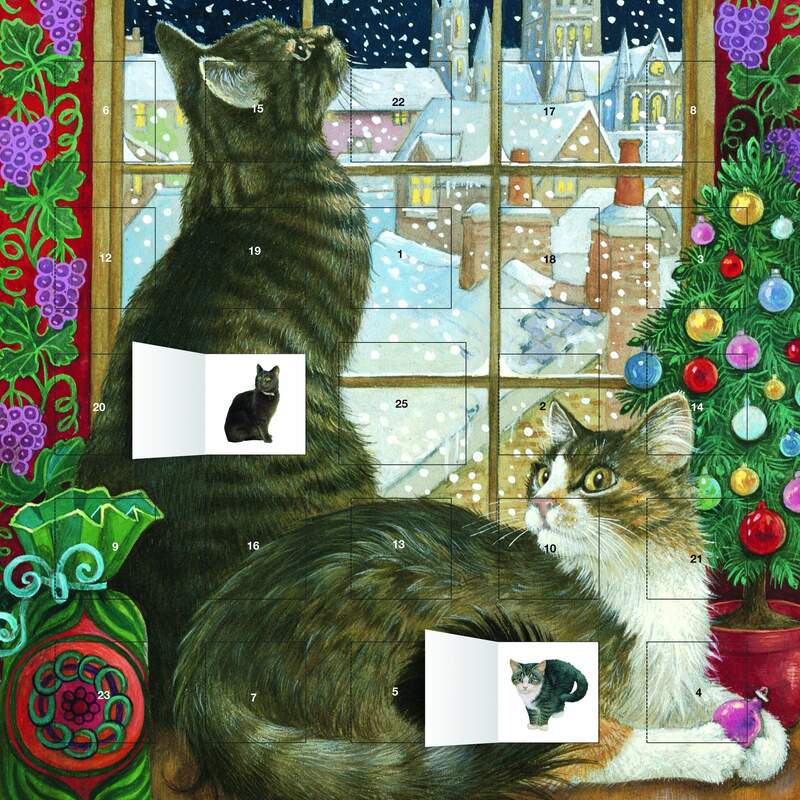 Sized 15″ x 11″, with surprise images in each of the 24 windows. 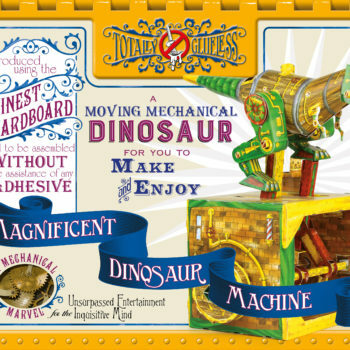 Magnificent Dinosaur Machine New Products. Completely made of cardboard this Victorian design was from the eccentric Lord Robert of Brockenhurst. 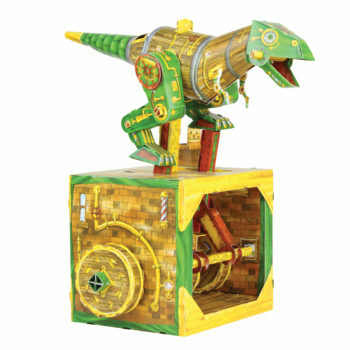 When assembled this terrifying lizard machine will indeed “walk” and roar when hand cranked. Requires no gluing. Designed and produced by the Bag of Badgers Ltd from UK. 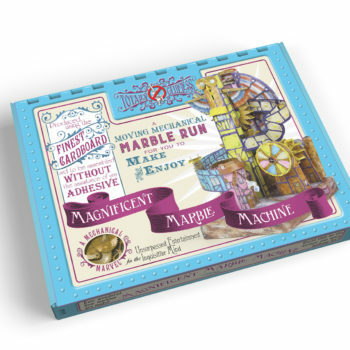 Magnificent Marble Machine New Products. Completely made of cardboard this Victorian design was from the eccentric Lord Robert of Brockenhurst. 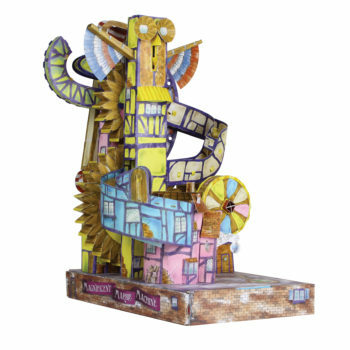 When assembled this Marble machine will indeed make marbles “magically” appear. when hand cranked. Requires no gluing. Designed and produced by the Bag of Badgers Ltd from UK. 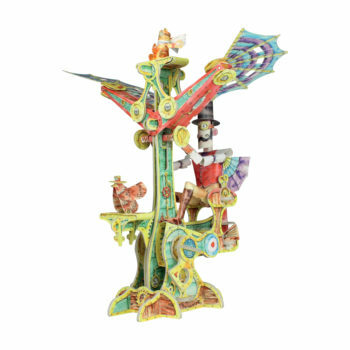 Magnificent Flying Machine New Products. Completely made of cardboard this Victorian design was from the eccentric Lord Robert of Brockenhurst. 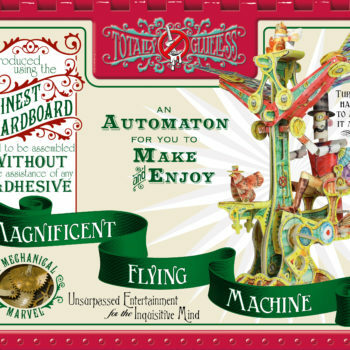 When assembled this Magnificent Flying machine will indeed travel when hand cranked. Requires no gluing. Designed and produced by the Bag of Badgers Ltd from UK. Magnificent Walking Machine New Products. 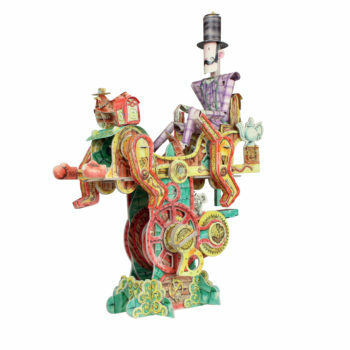 Completely made of cardboard this Victorian design was from the eccentric Lord Robert of Brockenhurst. 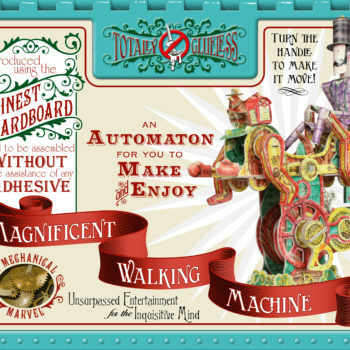 When assembled this walking machine will indeed travel when hand cranked. Requires no gluing. Designed and produced by the Bag of Badgers Ltd from UK. Crossword Jigsaw 2018 New Products. Our Crossword Jigsaw is a unique and intriguing challenge for the seasoned crossword addict. First, solve the crossword on the enclosed sheet then use the completed crossword as your guide to do the jigsaw puzzle. Makes a great gift to keep puzzle lovers entertained for hours. 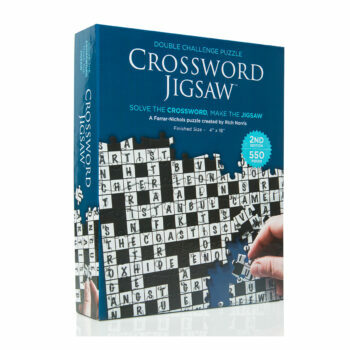 This 550-piece jigsaw can be completed again with a fresh, blank crossword puzzle sheet available online. 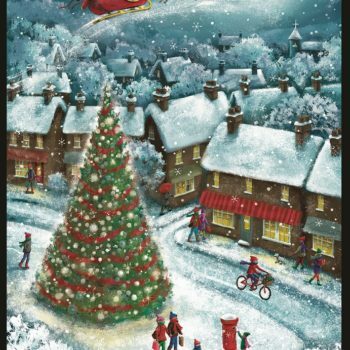 Village Tree with Santa’s Sleigh Advent Advent Calendars, Babalu Products, New Products.